The complete June 10 matine show in Madison Square Garden. 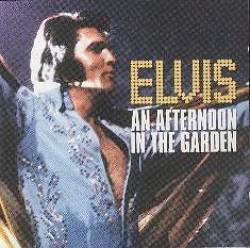 The evening show was released in 1972 on 'As Recorded Live On Stage in Madison Square Garden'. Only three songs have been released before, namely 'Reconsider Baby', 'I'll Remember You' and 'I Can't stop Loving You'. Available on CD and Cassette. Released in 1997. Also Sprach Zarathustra - Thats All Right - Proud Mary - Never Been To Spain - You Don't Have To Say You Love Me - Until It's Time For You To Go - You've Lost That Lovin Feelin - Polk Salad Annie - Love Me - All Shook Up - Heartbreak Hotel - (Let Me Be Your) Teddy Bear / Don't Be Cruel - Love Me Tender - Blue Suede Shoes - Reconsider Baby - Hound Dog - I'll Remember You - Suspicious Minds - Intructions By Elvis - For The Good Times - An American Trilogy - Funny How Time Slips Away - I Can't Stop Loving You - Can't Help Falling In Love.